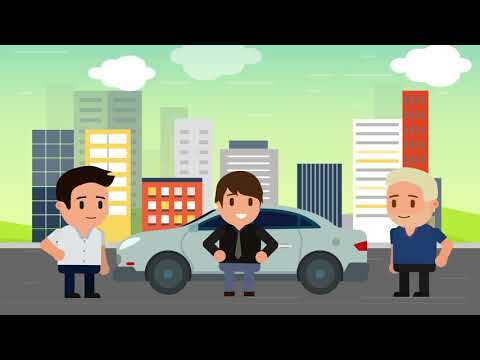 Check-Car.io is a service solving all market problems by using Blockchain and Smart Contracts Technologies! Check-Car.io is the first decentralized serverless platform, which solves all market problems through the use of Blockchain and Smart Contracts technology. We have combined Ethereum and IPFS technologies to achieve the best result. The core business model of the service is to combine the principle of "commission" fees and free "marketplace". We charge car experts a small commission to support and develop the service, intro-duce new technologies and follow the roadmap. The CCR Token will be used for internal system settlements and smart contracts crea-tion. Check-Car will spend 20% of quarterly profit to buy tokens on exchanges and then burn them. There is a huge number of unqualified and flaky persons in the market who offer paid on-site diagnostics and selection of cars. Check-Car.io is a service solving all market problems by using Blockchain and Smart Contracts Technologies. The service directly connects a buyer with a diagnostician. The principal purpose of the project is to ensure transparency and security of the market for both second-hand and new cars offered by dealers. SIMPLE INTERACTION AND GUARANTEED QUALITY! Why do we need an ICO? We are going to raise funds for the project development by notifying various cryptocommunities and investors and releasing ERC20 tokens called "Check-Car" or CCR. The issued tokens will be used to make the main transactions on the platform. Services of the platform can be paid in CCR, ETH, BTC, Dash, LiteCoin and other cryptocurrencies. The service also supports fiat money. The CCR Token will be used for internal system settlements and smart contracts creation. Check-Car will spend 20% of quarterly profit to buy tokens on exchanges and then burn them. This ensures that their value will increase over time. The token value will also grow along with the popularity of the project. After the successful service launch and operation, within 1 year after the implementation of all the project stages, a special token will be issued – CCRi (Check-Car invest), which will allow holders to receive a constant income – part of the Check-Car.io project profit. CCRi can be acquired in exchange for CCR tokens. CCRi token issue will be limited, the exact rate and volume will be published right before the issue of new tokens. Team is too small and hard to see their domain expertise. Poor social presence and no Medium article activities since May/2018. Product seems to be very localised for international market.